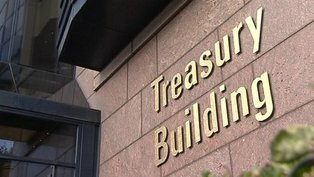 The National Treasury Management Agency (NTMA) has expressed its view that house prices in Ireland have further to fall to compensate in the decline of peoples’ disposable income. The NTMA – the state agency responsible for managing debt – feel that the commercial property market has probably bottomed out though, in what should be seen as a boost for that sector. Those view was revealed in the NTMA’s economic review, which was shown to prospective investors during roadshows to drum up support ahead of this week’s successful bond swap deal. “Residential property prices have further to fall but the commercial market has probably bottomed,” the review says. The outlook for the property sector was part of a mostly upbeat economic assessment. The NTMA said the economy grew last year for the first time since 2007 and thanks to exports that have so far remained resilient despite the global slowdown. Economic conditions are improving but the NTMA warns the success seen so far could be under threat. Domestic demand may continue to fall this year, hurting the chances of general growth in the economy, the report adds. It noted families are getting poorer and disposable income has fallen every year since 2008 due to rising taxes and falling wages. Household wealth is back to 2003 levels. On a more upbeat note the NTMA says that Ireland is now living within its means with a current account surplus. The banks have been successfully recapitalised, the threat to corporation tax rate is gone and the economy has started to become more competitive. The NTMA, who own run NAMA, also said it expects NAMA to make an operating profit of €600m for 2011.